Emery Kelly Photos, News, and Videos | Just Jared Jr.
Paris Berelc rocks super dark hair while attending the ‘Wheels’ California’s bike-share app event held at The Sunset Tower late last week in West Hollywood, Calif. The 20-year-old actress was joined by Alexa & Katie co-star and real-life boyfriend Jack Griffo and Emery Kelly, who plays her brother on the Netflix series. Paris just returned from filming Netflix’s upcoming movie, Tall Girl, in New Orleans. Be sure to be on the lookout for Paris at the 2019 Kids’ Choice Awards this weekend! 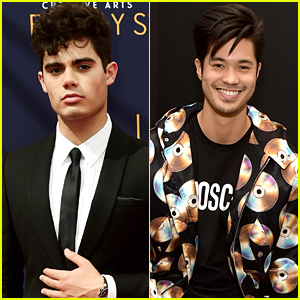 Emery Kelly is ready to meet more of the Mendoza family on Alexa & Katie. The 21-year-old actor, who plays Lucas Mendoza on the popular Netflix series, opened up to Daily Shuffle magazine about the characters and actors who he’d love to see on the series. If you don’t know, the Mendoza family is multi-cultural and features Eddie Shin and Tiffani Thiessen as the parents. It’s been a little while since we’ve gotten any new Forever In Your Mind music. 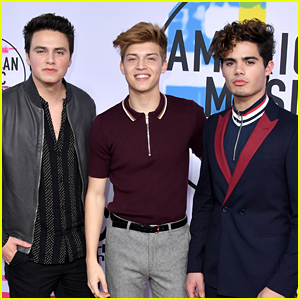 However, that’s about to change in 2019, according band member Emery Kelly. Speaking with The Daily Shuffle, Emery revealed that the band is working on new music all the time for fans. “We just released a new song in October. The boys and I have been hard at work in the studio so fans can definitely expect to hear new music in the new year,” he says. 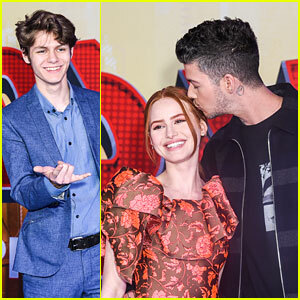 Sydney Sierota and fiance Cameron Quiseng step out for the first time as an engaged couple at the Dragon Ball Super: Broly movie premiere held at the TCL Chinese Theatre in Los Angeles on Thursday night (December 13). The newly engaged couple were joined at the event by On My Block‘s Diego Tinoco, Emery Kelly, Miya Cech and This Is Us star Lonnie Chavis. The flick, opening on January 16th, follows the devastation of Planet Vegeta, where three Saiyans were scattered among the stars, destined for different fates. While two found a home on Earth, the third was raised with a burning desire for vengeance and developed an unbelievable power.